The Central Intelligence Agency launched a covert operation on June 18, 1954 to overthrow the left-leaning government in Guatemala. The coup, code-named Operation PBSUCCESS, deposed Guatemalan President Jacobo Árbenz Guzman, ended the Guatemalan Revolution and installed the military dictatorship of Carlos Castillo Armas. Armas would be the first in a series of U.S.-backed strongmen to rule Guatemala. 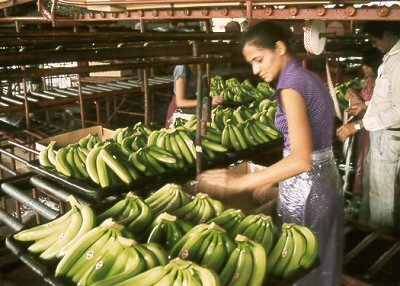 President Dwight D. Eisenhower authorized the CIA to carry out Operation PBSUCCESS in response to growing concerns over the spread of Communism in what was considered “America’s backyard.” Árbenz permitted the Guatemalan Communist Party to operate openly and his land reform program threatened U.S. commercial interests, in particular those of the United Fruit Company. 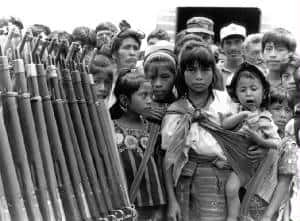 U.S.-backed invading forces numbered at most in the hundreds, but through psychological warfare operations, the CIA convinced the Guatemalans that a major invasion was underway, broadcasting propaganda messages and jamming Guatemalan radio transmissions. American pilots bombed Guatemala City; the Guatemalan Army refused to fight. Árbenz resigned on June 27, and following negotiations in San Salvador, Carlos Castillo Armas became President on July 7. President Eisenhower saw the outcome of PBSUCCESS as a notable achievement and declared the plan a template for overthrowing other communist regimes. That approach proved futile when the method failed against Fidel Castro in the Bay of Pigs invasion. 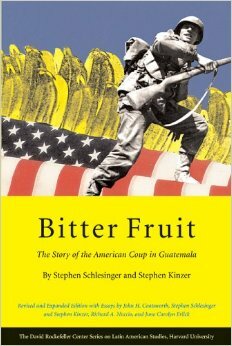 The disastrous outcome of that operation prompted a second look at the Guatemala overthrow. 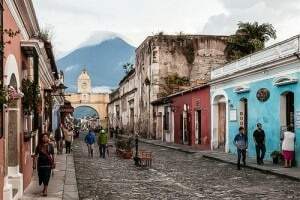 Some posit that PBSUCCESS squelched any chance for a stable Guatemalan government, citing the subsequent five regimes as more unstable and repressive than the Arbenz regime. Charles Stuart Kennedy interviewed Edward W. Clark in April 1992 and Robert F. Woodward in May 1987 about their roles in the intervention. W. Haven North talked to David Jickling in September 1998. To read more about coups d’état, other intelligence-led operations, or Central and South America, please follow the links. In Guatemala you just had an overthrow of a longtime dictator [July 1, 1944] named Jorge Ubico who had kept the wraps on the situation there. Then you had an election and a fellow by the name of Juan Jose Arevalo became president. He was a very liberal minded fellow. Of course, anybody at that time began to be considered, thought of, or maybe was, a communist. But I don’t think he was. 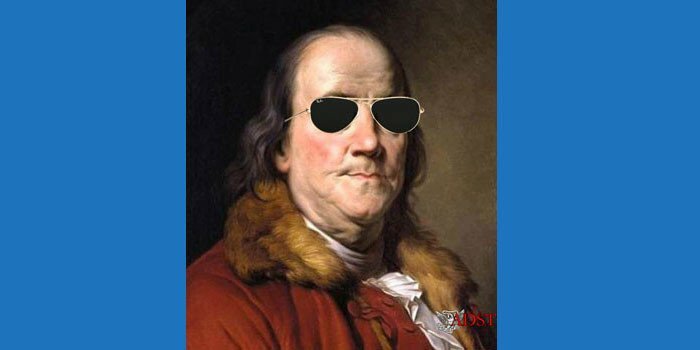 He certainly introduced a lot of progressive reforms there benefiting the people, but often hurting the United Fruit Company, which was the big American interest there. After him another election was held and the major perspective winner was going to be a Colonel Arana. He probably would have been a good president. He also was a center-of-the-road fellow who was highly regarded in Guatemala. However, it was arranged that he be assassinated, and he was…. Who knows exactly who did it? But I think it was a group in the military itself who wanted Colonel Arbenz to be president. He was a much more leftist-thinking individual than Arana was and probably even than Arevalo was. The election took place and he was elected. What [Arbenz] did was allow the Arevalo program to go farther and farther. He was very much in favor of the liberalization of the labor laws, which again hurt the United Fruit Company right away. He encouraged the importation of arms from Czechoslovakia. We didn’t like that. In general he took a very, very liberal path and soon he was being called a communist in the eyes of the Americans, the United Fruit Company in particular. I cannot say that he wasn’t a communist. When it was all over he took refuge in Cuba. But there is a body of thinking that he wasn’t actually a communist. I am inclined to think that myself. I n any event he was a communist for the United Fruit Company and they were not only lobbying in the State Department but were up on the Hill. They wanted him out because he was affecting their interests very severely…. There wasn’t any question about the fact that they were hurting the United Fruit Company and there wasn’t any question that some of the things that were being done down there were, even if not communist-inspired, off the wall and the United Fruit Company was going to be driven out of there one way or another. So, certainly you had to be sympathetic to their problem. They were getting screwed. So what to do? You make your representations telling them that it was going to affect our relations very severely, and it did. Things were very ticklish and confrontational between the United States and Guatemala in those days…. There was no AID [Agency for International Development] program in Guatemala in those days. They had us, the United Fruit, as hostage. The only leverage…there wasn’t any real leverage other than the threat of possible intervention which always hung over the area…. This was the first time there had been anything like a possible or real communist government in our hemisphere and that was pretty upsetting at that time. And it was very real regardless whether Arbenz was a communist or not, and it was very shocking to us at that time. After all, you had Senator [Joseph] McCarthy and all of us “communists” in the State Department. JICKLING: We had, in 1954, supported the overthrow of a popular government which to our view was too left-leaning. The Arbenz government with CIA help was replaced by Castillo Armas, which was a setback in terms of the objectives of the Alliance for Progress. It is a sad story which Stephen Schlesinger has written about as Bitter Fruit or Piero Gleijeses at Johns Hopkins has written a book about the same process, Shattered Hope. In other words, we were living in the period, the early ‘60s, that was the beginning of a 30-year period of military dominance, of a government which was more interested (and the United States was supportive of this) in anti-communism, of strong government to control the kinds of Cold War concerns that we had. But it was not a government interested in the kinds of reforms the previous government, the Arbenz government, had set about to implement…. The previous government was communist in the sense that it was committed to social reform, to helping poor people, to all of the things which in theory the Alliance for Progress was committed to. This was a government which really was trying to do that. Whether or not it was communist with a big “C,” it clearly had these kinds of social goals. The United States and [Secretary of State] John Dulles and the others just wouldn’t tolerate it. We set about at a cost of $20 million and one American life to overthrow that government in 1954. WOODWARD: Henry Holland became Assistant Secretary [of the Bureau of American Republics, ARA] and was therefore my boss, and an extraordinarily able fellow. Holland was sworn in by [Secretary of State John Foster] Dulles (seen right) in Venezuela at an InterAmerican conference, where Dulles was working on a resolution which would be an anticommunist declaration by all of the American Republics, and which he succeeded in having passed by the meeting. When Holland came back from this conference, he tried to obtain from me explanations of my conception of our policies toward Latin America. I felt as though I was somewhat floundering in my efforts to explain just what we were trying to accomplish, because at that point, I was somewhat baffled by the changes, and attitude, of the outgoing and incoming administrations. The revolutionary movement was being mounted in Honduras, but it was going to come into Guatemala against Arbenz. I said, “I recommend you should try to handle this in some other way, because if you do this with a military intervention, directly contrary to a whole array of inter-American commitments, our treaty commitments, this is going to destroy the Good Neighbor Policy, the non-intervention policy. Henry professed to have done this, to carry out my recommendation with Dulles. 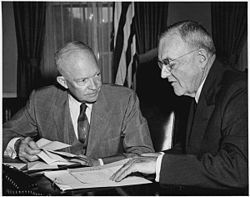 A couple days later he told me that Mr. Dulles had given him until the end of that year, of 1954, to try to accomplish the removal, or the danger, of the communist tendencies of the Arbenz administration in Guatemala in some way other than a military intervention. Henry Holland told me that Dulles had said that if he couldn’t handle it before the end of the year, they would go ahead with the military movement. Well, another month or two elapsed — about another month actually, sometime the end of April or the first of May — we got a report that there was a ship coming from what had been the German port of Danzig, which was, of course, then part of East Germany…. A Swedish ship, as I recall, was coming with a load of armament from the Skoda factory in Czechoslovakia for the use of the Guatemalan government, which would make a military attempt against the government more difficult, obviously. We didn’t know what kinds of arms these were. Well, the ship was very carefully surveyed by whatever intelligence methods were available, and alarm increased about this. There was consideration of intercepting the vessel, but it came to Puerto Barrios, on the Caribbean, and huge crates were unloaded and put on the railroad system that ran up to Guatemala City. This became fairly intolerable to the people who had been plotting the military effort against Arbenz. And one morning in the first week in June, after this process had been continued, and as I recall a train with the crates was just on its way up to Guatemala City (the crates hadn’t been unpacked and we didn’t have any intelligence information yet as to what was in them), and the invasion took place; this despite the alleged promise of Dulles to Holland that he could have until the end of the year. Holland had been calling meetings at odd times with groups of Latin American Ambassadors discussing how they could they could isolate or put pressure on the Guatemalan government. Presumably these discussions were going on, the meetings were being held. I was not privy to what was being said in the meetings, although on one occasion, on a Sunday, I actually went to the place of a meeting with Holland. I was not allowed in the discussion. I was left outside reading a book, occupying myself privately, at a place out in The Plains in the Virginia countryside… a town out in Virginia where there was a property owned by an American businessman who had lived in Havana a long time, spoke Spanish quite fluently, had been Ambassador to Brazil, Bill Pawley. He owned the bus system in Miami, and I think a streetcar system in Havana at one time. He was a rather wealthy businessman. Anyhow, he was helping with these discussions, or at least he loaned his house for them. The discussions had obviously come to nothing, and the CIA plot was being carried out. The small military group was moving up into Guatemala territory in a rather isolated, wild region between Honduras and Guatemala, where there were really no roads to speak of at all. Probably less than 100 men, and I heard later that they were a rather motley crew of adventurers, and people who had been hired on for this military effort. I suppose that the strategy was that they expected defection of the Guatemalan forces, or no opposition. Well, the Guatemalan army had moved on toward the border, and there was no way for this small group of invaders to make any progress. They were stopped. It looked as though the plot was a failure. For a day or two there was a great dismay, both in the State Department and in the CIA, and nobody knew what was going to happen next. Well, Pawley was quickly dispatched to Nicaragua, and President Somoza allowed at least the use of his air force, his bases, and I don’t know whether they used some World War II fighter planes, two or three fighter planes that he possessed for the purpose, or whether they were from some other source. I never knew. But they got these planes to fly over Guatemala City, firing off their machine guns, and dropping the empty cartridges on the streets of Guatemala City. Through some stratagem of the CIA they managed to persuade the Catholic Cardinal of Guatemala City to come out with a strong speech condemning the communist tendencies of the Arbenz government. And, at least to my complete surprise, the Guatemalan army totally defected against Arbenz. They turned against Arbenz and laid down their arms. Of course, this group from Honduras just walked into Guatemala City, and the leader, who was a man named Colonel Castillo Armas, shortly thereafter moved into the Guatemala government through the efforts of the American Ambassador and the CIA…. This, of course, really virtually destroyed the American Non-Intervention Policy, and it was in complete opposition to our commitments. But it exemplified the fact that our Latin American commitments had all been completely subordinated to the fear of communist infiltration, and influence. 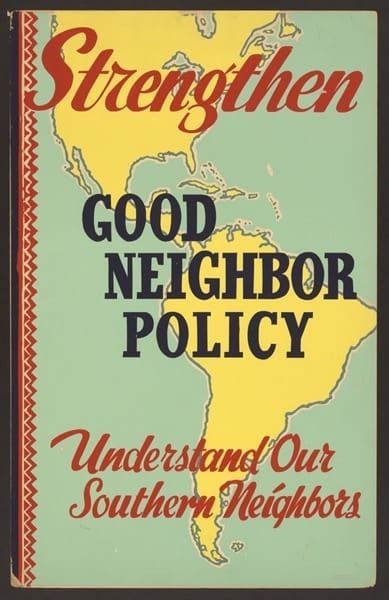 And this has been the basic characteristic of our Latin American relationship ever since then, although, at the same time, there has been a kind of an overt effort to continue the Good Neighbor Policy in ordinary day to day matters. It’s a rather strange contradiction which has existed in the basic principal of our relationship with Latin America and which has made it very hard for anyone to describe honestly what the policies are of the United States. Because fundamentally we’ve been governed by anti-communism; but we nevertheless have had, day to day, a very charitable and very helpful attitude toward the Latin American countries. In other words, we have denied their sovereignty in situations where our administration considers that there is a serious element of communist infiltration.